Someone left a Bible on Samuel’s bunk. Samuel read it hungrily, blocking out the sounds of clanging metal doors, buzzers, voices of desperate men. He pictured his wife alone at home with their young children, wondering where he was. Just days before, Samuel and his younger brother, Francisco, had finished a grueling 12-hour workday laying floor tiles in a new housing development southeast of Phoenix. It was a fall evening in 2012. Exhausted, Samuel, 25, sank into the passenger seat of his old white Chevy pickup as Francisco, 23, drove along a lonely desert highway toward their homes in eastern Maricopa County. The brothers were undocumented immigrants from Mexico who had lived in Arizona for several years. They were pulled over by Ramon “Charley” Armendariz, a zealous Maricopa County Sheriff’s Office deputy who was very good at hunting immigrants. Armendariz asked to see Francisco’s driver’s license. He had no license, and proffered instead a Mexican passport. Samuel thought it odd that the deputy requested his identification, too, since he was just a passenger. Nevertheless, he also handed over his Mexican passport. 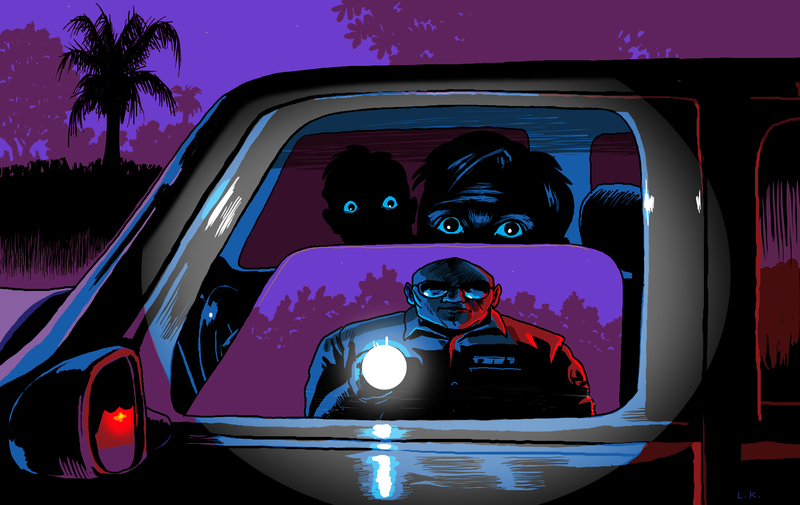 In a matter of minutes, both brothers’ wrists were ziptied. In that moment, Samuel became one of an unknown number of non-criminal unauthorized immigrants wrongfully detained by Maricopa County Sheriff Joe Arpaio’s deputies from 2011 to 2013. Deputies turned over these immigrants for deportation in violation of a 2011 federal court order that forbade MCSO from taking such action. In July 2017, Arpaio was found guilty of criminal contempt of court for defying the order. He was pardoned by President Donald Trump a month later. In September, Maricopa County set aside $1 million to locate and compensate the wrongfully detained immigrants. But the immigrant victims are largely missing, and many may never be found. Some were recent border crossers. Many were likely deported. And immigrant rights advocates worry those still in the United States might not want to draw attention to themselves as the Trump administration beefs up deportation efforts. For years, the stories of the wrongfully detained immigrants remained a mystery. Samuel agreed to interviews with the Arizona Center for Investigative Reporting on the condition that his name be changed. Court records, arrest reports and county documents corroborate his story. Samuel cannot forget watching his younger brother, legs shackled, loaded into a van and driven away. Driving without a license is a civil violation, according to MCSO. But the deputy chose to charge Francisco (his name has also been changed) with a misdemeanor, for refusing to provide ID, even though Francisco had shown his passport. The same report shows Armendariz tried to turn Samuel over to U.S. Immigration and Customs Enforcement, but the agency refused to accept him. Samuel was transported instead to a Border Patrol station in Casa Grande, some 40 miles away. The ride seemed like an eternity. He’d heard someplace sheriff’s deputies couldn’t arrest undocumented immigrants if they hadn’t committed a crime. He knew he hadn’t committed a crime. What was happening? He felt as though he’d he’d been kidnapped. At the Border Patrol station, Samuel refused to sign a form that would have returned him immediately to Mexico. Pending a hearing before an immigration judge, Samuel was transferred to the Eloy Detention Center, an immigration lockup in central Arizona. Seventeen months after he arrested Samuel and Francisco, Deputy Armendariz suffered a days-long, drug-fueled breakdown. It ended with his death, which the Maricopa County Medical Examiner ruled a suicide. Authorities searching his cluttered garage found drugs, identification documents seized from immigrants and videos Armendariz had taken of his arrests. The discoveries later became a turning point in a massive, ongoing federal class action civil rights case called Melendres v. Arpaio. The case began in 2007 when Latino motorists sued Arpaio and his department, alleging Arpaio’s immigration crackdowns violated their constitutional rights. Before the case went to trial, U.S. District Court Judge Murray Snow issued the 2011 order barring the sheriff’s office from detaining non-criminal immigrants. 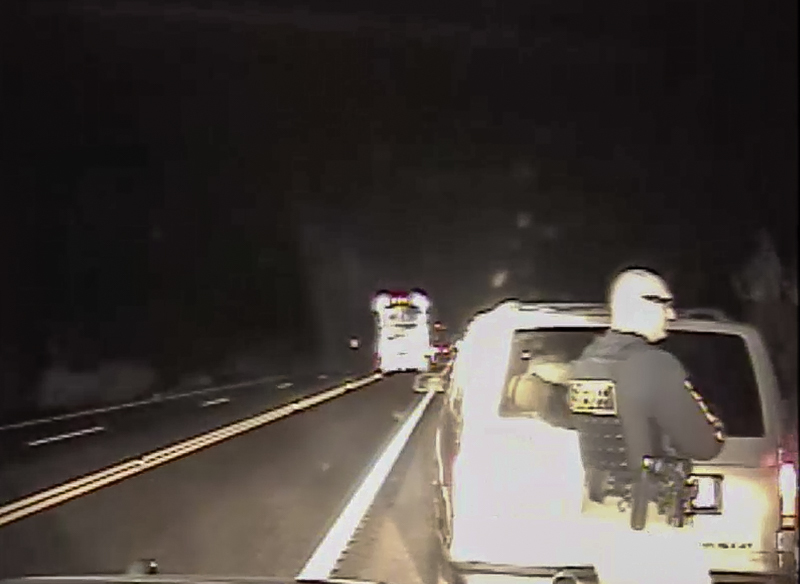 After the trial, Snow handed the plaintiffs a victory, ruling in 2013 the agency had racially profiled the county’s Latino drivers and passengers during traffic stops. In 2014, after Armendariz died, lawyers for the sheriff’s office reviewed his stash of videos, and discovered the deputy had detained immigrants in violation of the 2011 order. A larger investigation ultimately revealed other deputies violated the same order. Lawyers for the sheriff’s office confessed to the judge that his 2011 order was never communicated to deputies and was never implemented. In 2015, Arpaio and his chief deputy admitted to civil contempt of court for disobeying the judge’s 2011 order. The two men claimed it was simply an honest mistake. Snow, however, believed it was deliberate and referred the matter to the U.S. Department of Justice, which prosecuted Arpaio in a separate criminal contempt case. In the trial, prosecutors used the sheriff’s own records to show that scores of non-criminal immigrants were detained and turned over for deportation in violation of the court order. The presiding judge in the criminal case, U.S. District Court Judge Susan Bolton, concluded Arpaio showed “a flagrant disregard” for the 2011 court order and found him guilty of criminal contempt of court. But before Arpaio was sentenced to up to six months in prison or forced to pay a fine for the misdemeanor, President Donald Trump rescued him with a controversial pardon in August, 2017. Arpaio subsequently announced a run for the U.S. Senate. Tracking down immigrants eligible for a payout is a frustrating, time-consuming task. Sheriff’s records identify 189 people who were wrongfully detained, but immigrant rights advocates say there could be hundreds more who qualify for compensation. In September, the county launched a search for victims, hoping to notify them about the compensation fund. But only four from the list of 189 known victims have been found. Meanwhile, immigrants who did not appear on the sheriff’s list have come forward. So far, 34 people have filed claims, while an additional 17 have taken the first steps. Authorities have not yet determined how many qualify. The year-long claims period ends Dec. 3, 2018. Snow, the judge in the racial profiling case, had ordered the county to set up the compensation fund. Victims are eligible for compensation ranging from $500 to $10,000, depending on the length of the wrongful detention. Related expenses, such as legal and medical bills, lost wages, emotional distress and confiscated property also qualify for compensation. Maricopa County contracted with the Virginia-based claims administration firm, BrownGreer to advertise, notify victims and evaluate claims. The firm set up a website and phone number to receive claims, and recently placed bilingual ads on Facebook, digital news sites, local radio and in newspapers. The ads make clear “lawful immigration status is not required” to file a claim. A court order requires victim confidentiality. To boost participation, advocates are holding clinics to help victims fill out compensation forms. The next is scheduled for April 28. “If they pay these people, I would like to investigate every payment to see if they really qualify and can prove it,” Arpaio said. Samuel’s wrongful arrest happened more than five years ago. On a recent evening, he sat at the kitchen table in his East Valley home, recounting the details. At the Eloy Detention Center, he’d finally gotten word to his wife that he was safe. She’d thought he was dead. She’d driven all over the county looking for him, stopping at police stations asking about her vanished husband. Francisco was released from the county jail shortly after he’d been detained. He subsequently raised $3,000 to pay Samuel’s bond. Samuel had an emotional reunion with his family after an eight-day detention in Eloy. As a free man, he had another worry: an expensive ongoing deportation case. An immigration judge eventually closed Samuel’s deportation case. But Samuel doesn’t have permanent legal status to stay in the United States. His case could be reopened and he remains in immigration limbo. AZCIR estimates Samuel’s wrongful detention, lost wages, and attorney costs could qualify for at least $13,000 from the county compensation fund. At a community clinic held by an immigrant rights group several weeks ago, Samuel picked up an 11-page compensation claims form. When he thinks about true justice for hundreds of wrongfully detained immigrants like him, he doesn’t think of compensation funds. A Christian who attends church four times each week, he believes those who are hostile to immigrants disobey the commandment to love your neighbor like you love yourself. And he is confident there will be divine reckoning. Many victims were passengers in vehicles driven by suspected smugglers shuttling migrants up from the border. They were Mexicans, Hondurans and Guatemalans. Some were minors. During the years in question, Arizona’s human smuggling law was in place. (It has since been struck down.) Under the law, deputies could arrest migrants on state felony charges for conspiring with their smuggler. To make a human smuggling conspiracy charge stick, deputies needed evidence the migrant passengers had paid the driver to transport them. Lacking evidence, deputies sometimes turned immigrants over to U.S. Immigration and Customs Enforcement or U.S. Border Patrol. Deputies followed suspected load vehicles in known smuggling areas. They stopped vehicles for traffic violations, including driving too slowly, or driving a few miles over the speed limit. In some cases, ICE agents instructed deputies to detain immigrants who had committed no crimes, and deliver them to the ICE Phoenix office. In other instances, Border Patrol agents accepted custody of the non-criminal immigrants. Deputies may not have properly documented all immigrant detentions. A deputy arrested nine immigrants, charged seven for for violating the state human smuggling law, but forgot to note the other two were delivered to ICE. Six months later, a sergeant reviewed records in response to a U.S. Department of Justice inquiry, noticed the record was incomplete and ordered a corrected report. About a quarter of the victims were not detained during traffic stops. Nineteen were apprehended during worksite raids. Twenty-three were discovered in drophouses. At least four were found walking through the desert. Sometimes immigrants attempted escape during stops. In one case, four passengers bolted out of a van. A juvenile ran into a barbed wire fence. Deputy Charley Armendariz shot pepper balls at the vehicle to prevent others from following. The youth was turned over to ICE. In 2011, when federal Judge G. Murray Snow issued his court order banning the sheriff’s office from detaining non-criminal unauthorized immigrants, Arizona law enforcement agencies had no uniform policy pertaining to encounters with unauthorized immigrants. But that changed in 2016. Arizona Attorney General Mark Brnovich and immigrant rights groups reached a settlement in litigation over Arizona’s controversial immigration enforcement law, SB1070. The parties agreed on model police procedures involving detention of unauthorized immigrants, using Snow’s orders as precedents. The guidelines say Arizona law enforcement officers should not arrest unauthorized immigrants who are not suspected of committing crimes. They can still check the immigration status of people they stop, but may not prolong stops to hold immigrants for federal immigration authorities. There are, however, some instances where police may arrest immigrants suspected of committing federal criminal immigration offenses, like re-entering the country after deportation. MCSO deputies can no longer transport a person they encounter in a traffic stop to ICE or Border Patrol – unless the person requests it.